Horwitz, Allan and Jerome Wakefield. Depression has become the single most commonly treated mental disorder, amid claims that one out of ten Americans suffer from this disorder every year and 25% succumb at some point in their lives. 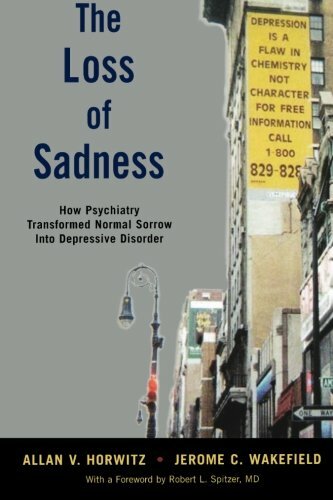 Warnings that depressive disorder is a leading cause of worldwide disability have been accompanied by a massive upsurge in the consumption of antidepressant medication, widespread screening for depression in clinics and schools, and a push to diagnose depression early, on the basis of just a few symptoms, in order to prevent more severe conditions from developing.